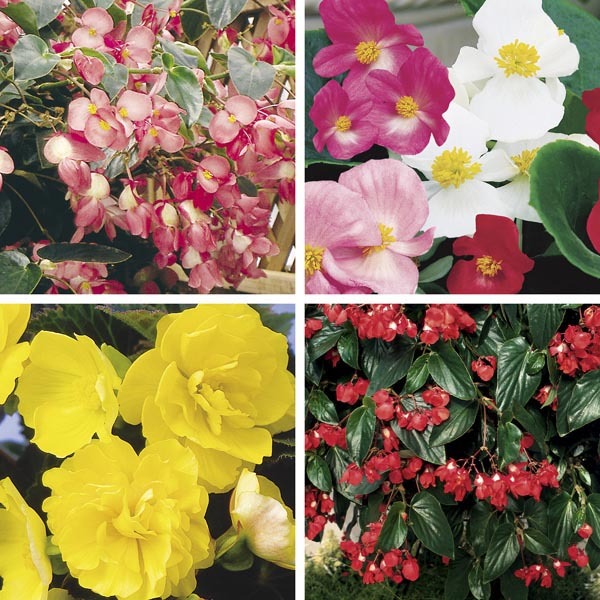 Begonias are a classic and colorful choice for annual beds and containers. They offer interesting foliage, varying from scalloped and waxy paddles to silvery and angel-wing shaped. The multitude of varieties also offers different flower forms; dainty, simple petaled wax blooms, lush multi-layered blooms or dangling earring-like blooms.